Title made you smile right? The little lady smiles and says, "Something light." The stewardess flips through the magazines, finds a small two pager, offers it to the little old lady and says,"How about this leaflet, 'Famous Jewish Sports Legends.'? Oh yeah, Jews are not known for their athletic prowess ... business, yes ... arts, yes ... athletics, no. So this afternoon, I was browsing some baseball movies (getting ready for the season) when I saw the title, Jews and Baseball: An American Love Story. GOTTA RENT THIS ONE. I knew there were a few who played the game like Koufax and Greenberg and Youkilis (although Red Sox fans used to think he was Greek). But Jews didn't have many ... or so I thought. 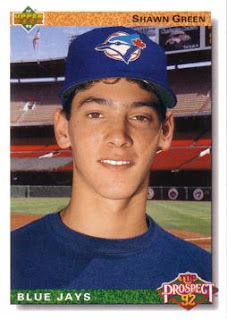 My buddy Joe Sambito pitched for Boston and Houston in the 80s. He's Italian. I knew that Italians had encyclopedias filled with athletes like Berra, Campanella, Di Felice, Garagiola, Giambi, LaRussa, Pepitone, Di Maggio. But I really thought there were only a few of my people in the game. I found out that the very first Jewish baseball player was a Dutch Jew named Lipman Emmanuel Pike. He was the team's leading scorer with 3 HRs a year. 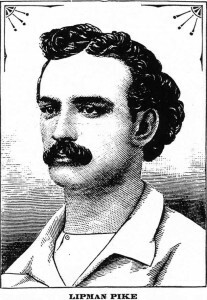 In 1866 he was paid $20 with the Philadelphia Athletics ... the first pro league. The 1880s were not good for Jews. Many emigrated from Europe to escape the pogroms. Baseball was a wonderful "leveller" and a game that Jewish parents encouraged their kids to play to fit in. Unfortunately, antisemitism was at an all time high. Phil Cooney of the Yankees, Harry Kane of the Tigers, Reuben Ewing of the Cardinals all were Jewish ... and all took new names as players (They also were all born with the name Cohen). It was the era of the Black Sox scandal and the era that Henry Ford accused the Jews of fixing the World Series. John Mc Graw, manager of NY Giants brought Jewish players into the game to increase ticket sales in the heavily Jewish population of New York and to counter the ticket sales for the Yankees (with the the popularity of Babe Ruth, Sultan of Swat). He brought in Mo Solomon who was nicknamed "Rabbi of Swat". He had the highest batting average .375 of any Jewish player. The Giants also had a player named Andy Cohen (used his REAL name). It worked 40,000 people came to see the games ... half were Jews. They even sold Ice Cream "Cohens" at the concession stands.. The first Real Jewish superstar was Hank Greenberg, born in New York. 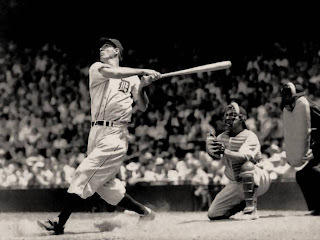 He was a giant of a man ... 6' 4" and signed with Detroit Tigers. He, like Sandy Koufax after him, struggled with playing on the high holidays. As the story goes, he went to rabbi in Detroit and asked what he should do. Rabbi said, "well, the bible says that the children were playing ball in Jerusalem on Rosh Hashanah ... so it must be okay." Hank played, Detroit won and the headlines the next day read ... "Happy New Year (in Hebrew)". Hank held many records as a hitter and the year that Ruth hit 60, he was only two behind him. 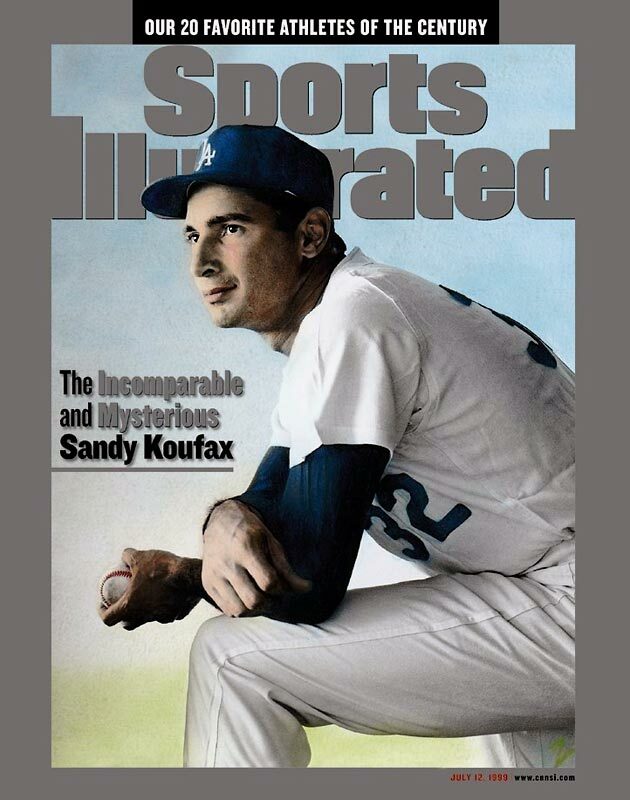 Sandy Koufax was the smartest most accurate left handed pitcher of his time in 50's and 60's. Played for the Dodgers first in Brooklyn then LA. In his first 6 years he was very inconsistent but dominated baseball after that. Four no hitters in four seasons ... but in 1965 ... he decided to retire before his arm gave out. He led in every category a pitcher could attain . Won 75% of games in the 60s. By the way ... Koufax did not play the World Series on Yom Kippur and was applauded for that by his fellow teammates and extended community. Casey Stengel was once asked "Who is the best pitcher you ever saw?" Stengel didn't name his own Yankee pitcher, Whitey Ford ... he simply said, "The Jewish kid." Best Jewish player in the 90s? Toronto Blue Jay and LA Dodger Shawn Green. Green had the best performance in any game in history of baseball ... 4 homers, a double and a single. Best Jewish player in this decade? 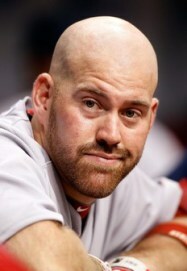 Kevin Youkilis of Red Sox and now Yankees fame. Has the weird stance at the plate .... like he's just getting ready for a bathroom break ... He has also dominated defensive play at first base. My personal favorite is Sam Fuld .... he does it all as a utility player and by the way ... he's got Type 1 diabetes and he's also ... all of what? ... 5'4"? And he's a RAY! So that's just a little about Jews and Baseball. See? We can do a few more things (well, I can't... but other Jews can)! Be sure to rent the movie ... there is much more. Have you seen my Emmy? Will you still feed me?